How much do you “Like” us? 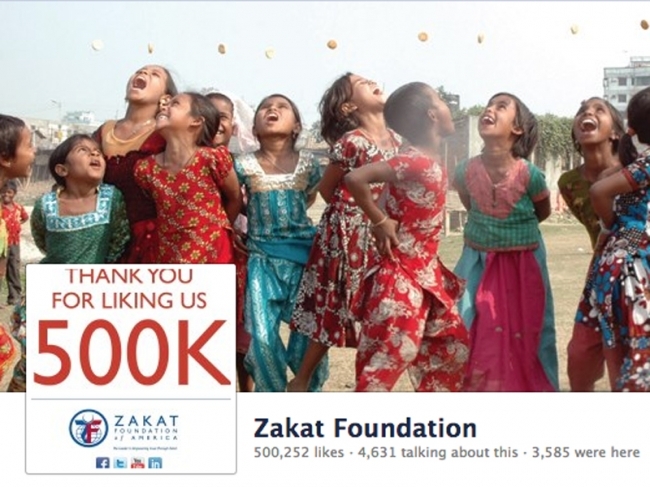 Zakat Foundation of America (ZF) is excited to announce that we have reached our 500,000 members on our Facebook page. Our updates, photos, and lively discussions have brought people together from all around the world. Through all our differences we share one thing in common: the desire to help those who are less fortunate. We want to thank you for relying on us to be your leader when it comes to Islamic charity. Our ongoing humanitarian efforts, in both the U.S. and abroad, resonant the continued commitment to eradicate human suffering around the world. Thank you! Like us on Facebook to join the discussion!